It can be tricky to predict the future. Experts across the world struggle to determine where the world might be in fifty years time and many a fierce debate has revolved around what the future might hold. Never one to shy away from a challenge, The LuxPad has put together the top five factors that we think will shape the interior world for years to come. 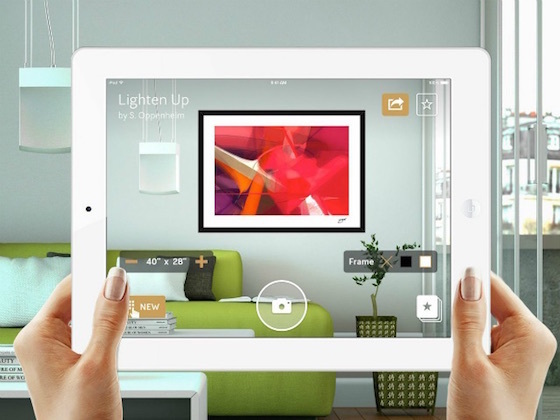 As expected, technology is set to play a huge role in the future of interior design. But which technologies? And how might we use them? 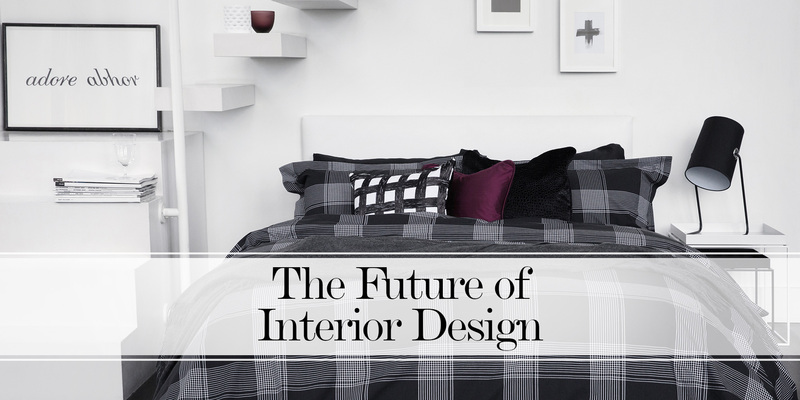 For anyone that works, wants to work, or has an interest in one of the most creative and exciting industries out there – here’s what the future has in store for interior design. It’s 2016 and smart homes are everywhere. Barely a day goes by without one of the tech giants releasing a new gadget designed to make our homes more connected. Just last month, Google Home was unveiled – a smarthome control centre that acts as a personal assistant, alarm and speaker rolled into one. Speak to your Google Home device and it will turn up your heating, turn off your television, or remind you about upcoming appointments. In the near future, experts predict that smarthomes will go much further than just standalone devices. Smart interiors will be built into the very structure of our homes. For example, Italian design company Tipic are pioneering smart kitchen integrations with their revolutionary Tulèr kitchen worktop. 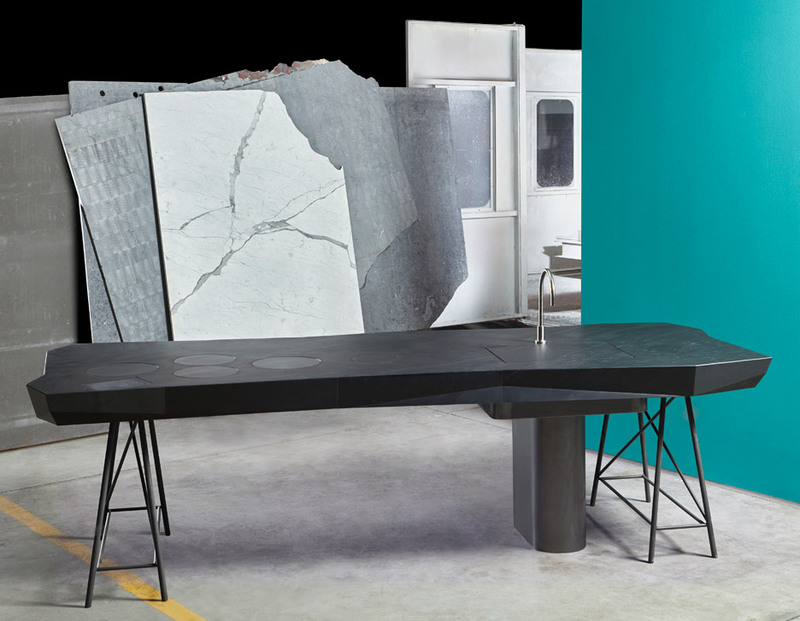 Built from a slab of quartz composite, the smart work surface includes a sink that appears as you wave your hand over a sensor. Wave again, and the sink rises to create the illusion of a perfectly flush, uninterrupted work surface once again. 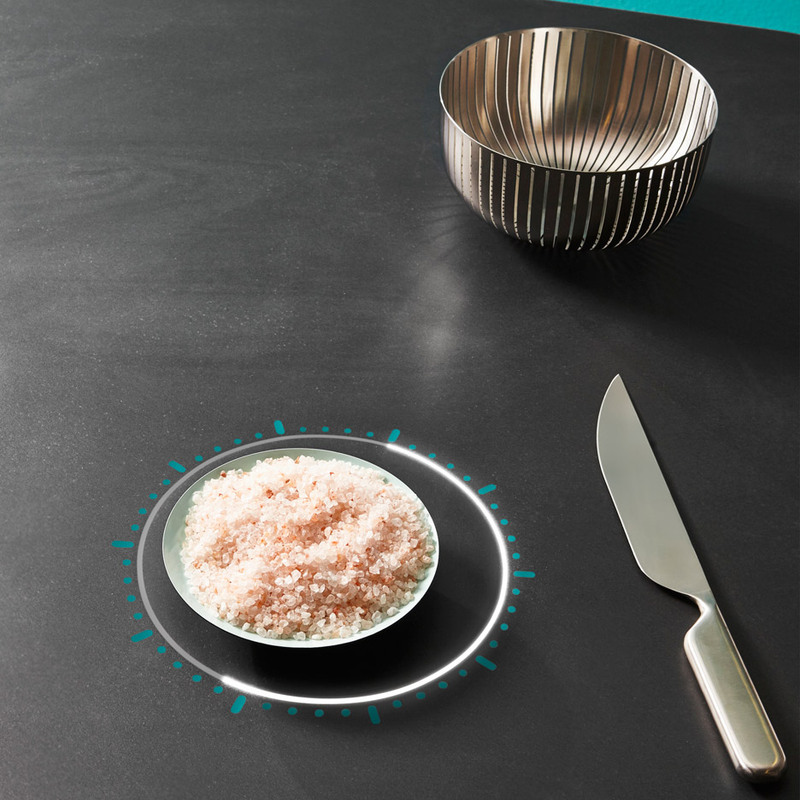 The Tulèr kitchen also hopes to include induction hobs that are built into the stone itself, as well as a built-in weighing scale and charging sensor for your smartphone. The result, Tipic says, should be seamless. It’s not just in the kitchen where smart interiors are beginning to have an impact. Imagine a voice-controlled shower or a button that changes the outlook from your bedroom window – the possibilities really are endless! Smart homes have come a long way in the past few years, and there’s no doubt that we will continue to see our interiors getting smarter and smarter. The advancement in 3D printing is shaping the interior world to such an extent that some believe we are on the cusp of another industrial revolution. Where it used to be costly and cumbersome, today 3D printing is efficient and exciting. Interior designers can quickly demonstrate their designs and allow their clients to touch and feel their ideas in miniature form. With 3D printing, the time between idea conception and its implementation is drastically reduced. This speeds up an interior designer’s work and reduces costs for the client – a win for both parties. 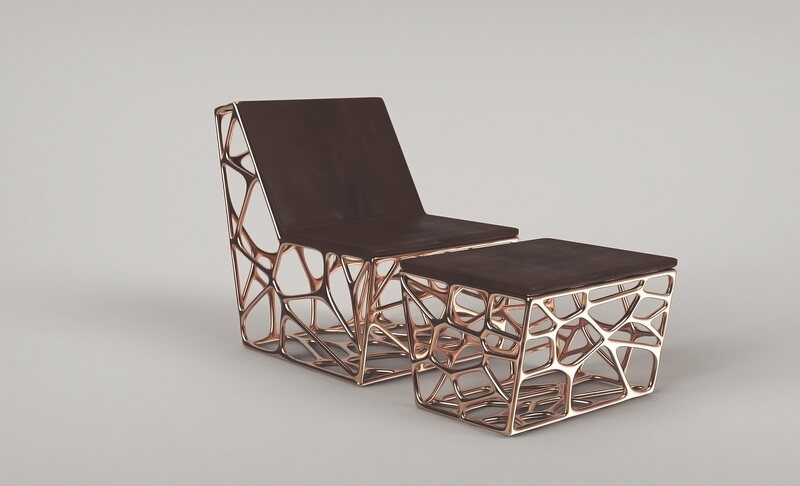 3D printing can be used to design intricate furniture that clumsy machinery is incapable of creating. France-based design company Ventury are shaking up the interior design industry with their stunning creations. From lamps to bar stools, Ventury’s pieces are all incredibly detailed and are made all the more impressive given the revolutionary way in which the furniture has been crafted. Today, 3D printing is some way off widespread commercial use – current printers are selling for upwards of £500 – so it has yet to reach its full potential. But once the technology has been refined and prices start to drop, the 3D printing revolution will be here, and here to stay. The Tiny House movement is one of the most striking phenomena that is set to overturn the way we think about interiors. Put simply, it is the movement whereby individuals are actively downsizing their living spaces, typically to under 400 square feet. 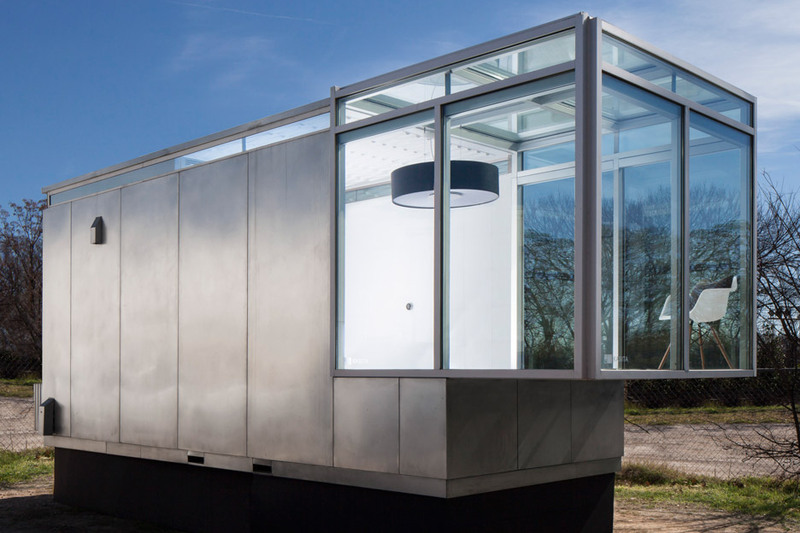 The Tiny House movement has gripped America, and is partly in response to rising house prices but also thanks to a greater environmental awareness and willingness to reduce our carbon footprint. Advocates of the movement are masters at living in well-planned and incredibly efficient living spaces. They argue that downsizing to such an extent forces you to appreciate experiences over possessions – simplifying your life and your spending habits. 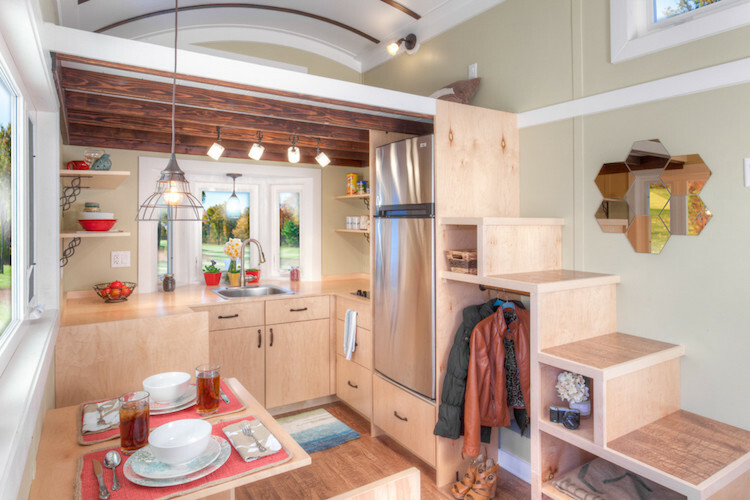 As the Tiny House movement continues to grow, so will the requirement for well-designed, expertly engineered interiors. In a tiny house, everything must have its use or – even better – everything should have many uses. Stairs that double up as storage units or kitchen tables that form a TV stand. When space is at a premium you can’t afford to be wasteful. With living costs still sky high, tiny houses may become the norm in a not-so-distant future. Virtual reality (VR) has been the word on everyone’s lips this year. From glorifying gaming to helping with healthcare, VR is set to take centre stage in many an industry over the next few years. Interior experts are particularly excited about its uses within their profession. Imagine a designer walking their client through a room they have created, or explaining an architectural structure by actually being beside it. Imagine testing out hundreds of wallpaper designs, furniture pieces or flooring types at the click of a button. It’s no surprise that the interior design industry is welcoming VR as the start of a new, technological future. On the downside, VR technology is still eye-wateringly expensive, and requires a very powerful computer to process. More accessible at the moment is VR’s younger cousin, Augmented Reality (AR). Where Virtual Reality simulates total immersion into a virtual world created entirely by software, Augmented Reality fuses the virtual world and the real world, often by overlaying virtual features on top of actual ones. AR requires much simpler technology than VR – you can download an app on your smartphone or tablet – and is consequently being used by designers and stylists today. As consumers grow wary of the environmental and social mark they are leaving on the world, so the interest in sustainable design increases. 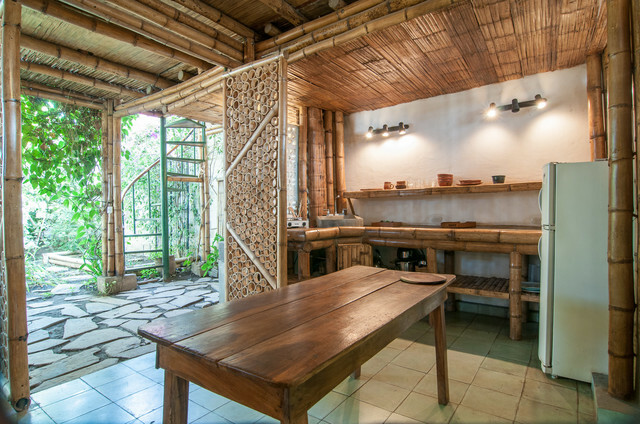 Sustainable design has become a buzzword across a range of industries. From landscaping to beauty, the future for eco-friendly looks bright. 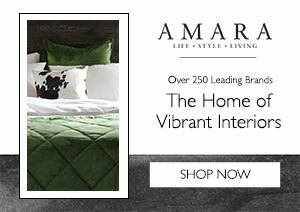 For interiors where it used to have connotations of shabby chic; today eco-friendly design is entirely on trend. 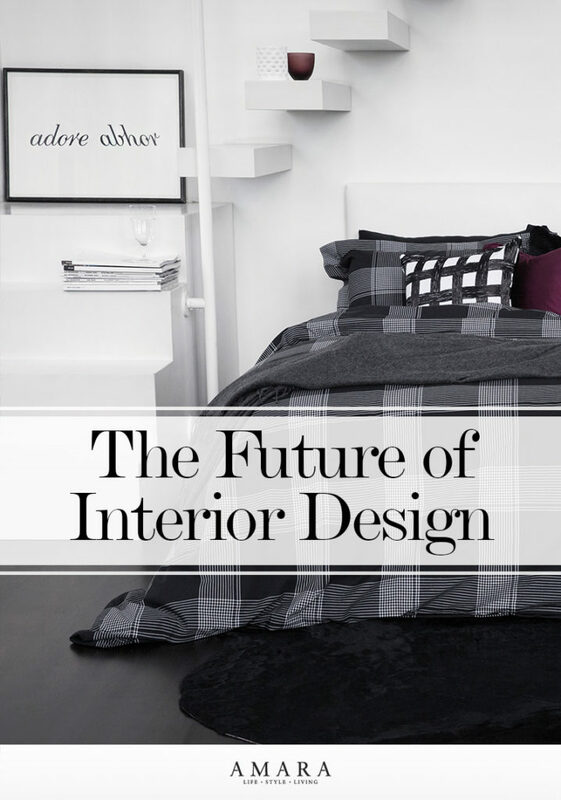 This trend looks set to grow as we consider the future of interior design. Upcycling furniture, buying local and actively seeking energy-efficient materials are becoming increasingly common, says interior designer Georgia Gibson. Interiors with a conscience are most definitely cool. No thanks. I’ll stay human and do my own tasks.